I should probably declare my interest in Voodoo Vegas as I've followed them since their early days when they were known as Cold Earth. Founding members Lawrence Case (vocals) and Ash Moulton (bass) are still present, but it was when they added second guitarist Merylina Hamilton to founding guitarist Nick Brown that things started taking shape. Jonno Smyth has occupied the drum stool since 2013, replacing Matt Jolly, whilst Jonathan Dawson replaced Brown when he sensationally quit in 2014 shortly after they'd supported Status Quo in Holland. They released their debut album, 'The Rise Of Jimmy Silver' through a crowdfunding scheme and looked to making headway in the British Rock scene. Losing Brown has changed their sound a little from a more measured Blues approach to a harder, more Metallised sound in places, although Case's Aerosmith and Guns 'N' Roses influences are still prominent. 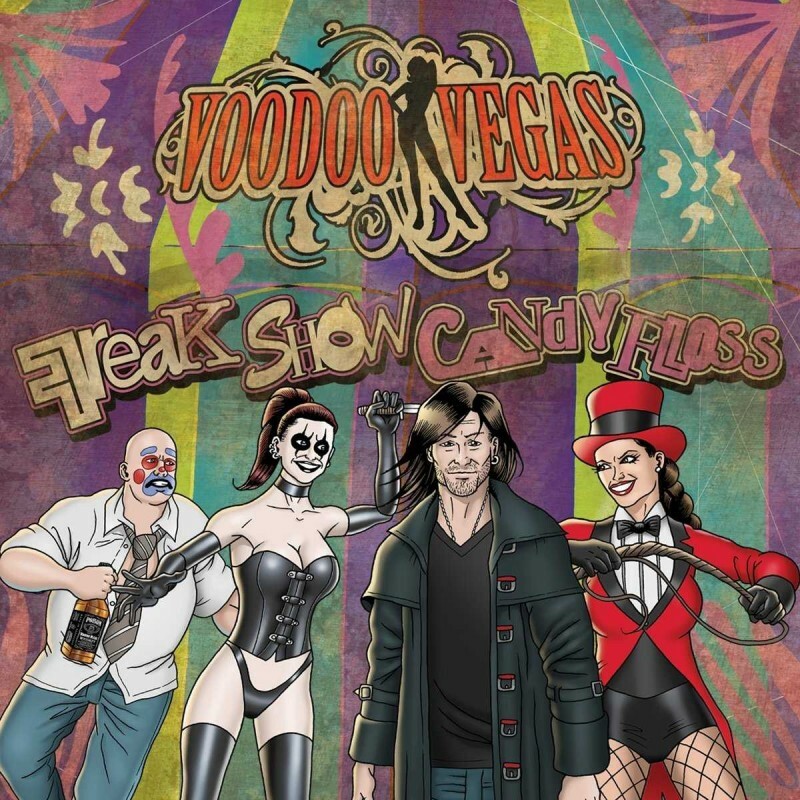 'Freak Show Candy Floss' is described by Case as a reference to the crazy world of a touring musician; the "freak show" is all the long, sleep-deprived travel and financially taxing situations and the "candy floss" being the actual sweet taste and sheer thrill of playing live. Opening song 'Backstabber', a rather generic Hard Rocker, is set to become a live staple, but 'Long Time Gone' is the direction they really need to head in. It has a really good driving beat and guitar melody with one of those sing-along choruses that stays in your head for days. Similarly, 'Black Heart Woman', with its fast pace, good melody lines and punchy guitar in all the right places, also offers a meaningful chorus with an inventive solo from Dawson. 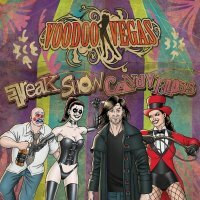 Another punchy Hard Rocker with added Case harmonica is 'I Hear You Scream' whilst the cool, hard and heavy 'Walk Away', with yet more punch and bite, show the direction I hope to see Voodoo Vegas progress in. Proving that Case is a man of the people, he's written a song about homelessness with 'Sleeping In The Rain', an ode to those less fortunate, with a simple acoustic melody leading the way. However, the most memorable song is likely to be the video single 'Killing Joke' written about Case's favourite comic villain The Joker – it's heavy, it's punchy and features intricate playing. Overall, this album probably represents another step up in terms of maturing as a band, and at around forty-two minutes long, it's also a nice length.